Segnalate nella primissima serie These Boots Are Made For Walking, qui trovate l'intera sessione fotografica. "Look Sharp!" was featured on the first These Boots Are Made For Walking series; now enjoy the whole photo session. Il celebre scatto é di BRIAN GRIFFIN, fotografo di Birmingham che ha iniziato come freelance nel 1972. Tra le sue molte copertine vanno ricordate: Soldier (Iggy Pop); Crocodiles, Heaven Up Here, Ocean Rain (Echo & The Bunnymen); Aural Sculpture, No Mercy (Stranglers); Be Stiff (Devo); A Broken Frame, Some Great Reward (Depeche Mode). É anche stato regista in molti video musicali e pubblicità televisive. Nel 2004 ha diretto il documentario su Sir Paul McCartney. Le sue foto sono state pubblicate da The Face, Time Out, L'Uomo Vogue. 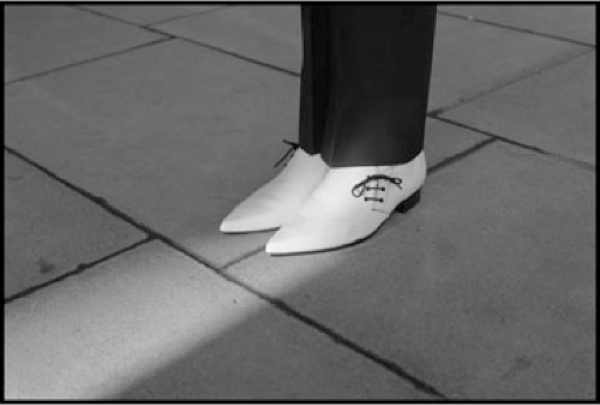 The famous shot was taken by BRIAN GRIFFIN, UK photographer (Birmingham) who started as a freelance back in 1972. Among the many records covers: Soldier (Iggy Pop); Crocodiles, Heaven Up Here, Ocean Rain (Echo & The Bunnymen); Aural Sculpture, No Mercy (Stranglers); Be Stiff (Devo); A Broken Frame, Some Great Reward (Depeche Mode). He is also a director in many music videos and TV commercials. In 2004 he directed the documentary about Sir Paul McCartney. His photos appeared on The Face, Time Out, L'Uomo Vogue. 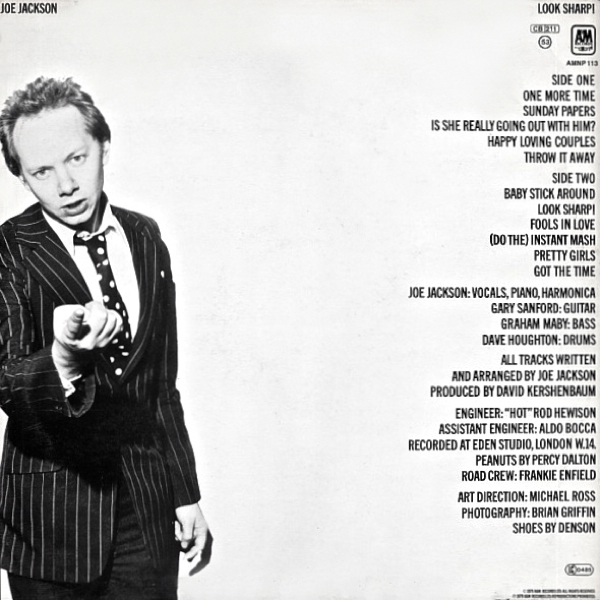 Joe Jackson - 1979 - Look Sharp! 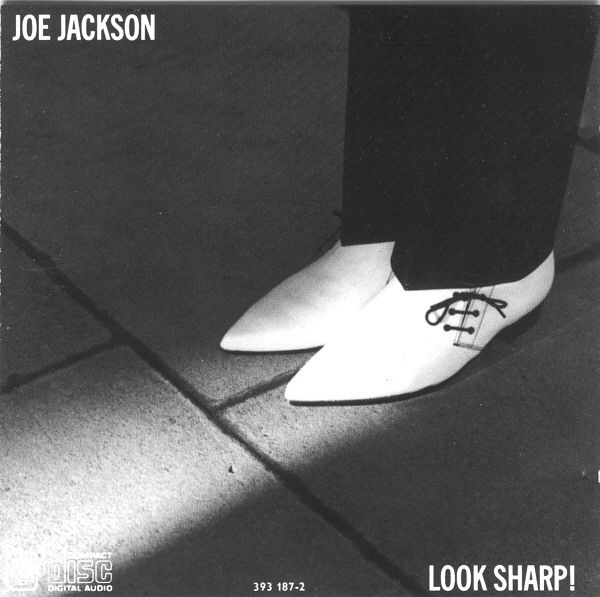 Joe Jackson: "Volevo una foto delle mie scarpe Denson perché le avevo acquistate giusto il giorno prima. Brian Griffin ha scattato un paio di foto come parte di un'intera giornata trascorsa lavorando sui soliti ritratti. Non voleva essere la copertina, ma quando abbiamo visto le stampe l'idea é piaciuta a tutti. Il direttore artistico (Michael Ross NdR) le ha prese in prestito e non le ho più riviste". 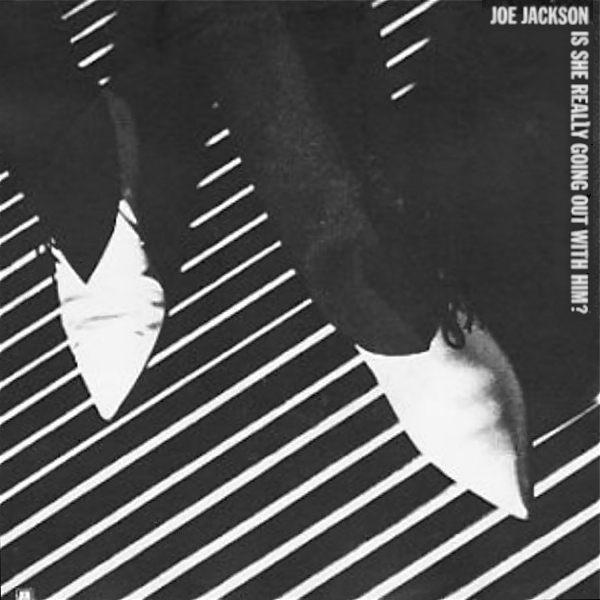 Joe Jackson: "I think we just wanted a photo of my Denson shoes because I'd just bought them the day before. Brian Griffin took maybe one or two shots of them as part of an entire day spent doing more typical portrait shots. The shoe shot certainly wasn't planned or intended to become the cover but when we saw the contact prints, everyone liked the image. The art director (Michael Ross) borrowed them for marketing purposes and I never did get them back." Copertina tributo dei francesi Hi-Fi Killers (garage/power-pop); nel video del brano "Get A Move On" le scarpe bianche ci sono, ma non sono Denson. 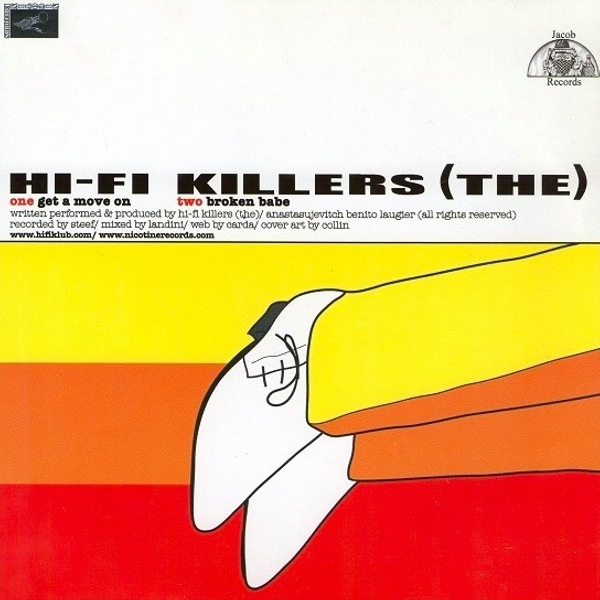 Cover tribute by the French Hi-Fi Killers (garage/power-pop); the white shoes in the video "Get A Move On" aren't Denson.